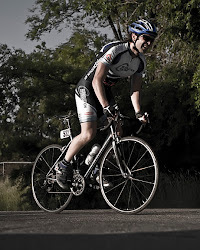 Dedicated to bike racing, cycling training, and bike parts. After having a moderate amount of inner knee pain for a month from cycling I knew I needed to find a solution in order to keep cycling on an almost daily basis and not incur a long-term injury. I had already dialed in my seat position, stem length, and the usual basic bike fit areas but the issue persisted. In my research I came across a few articles that discuss the relationship between the varus / valgus angles and the affect on knees during cycling pedal strokes. As I continued to cycle through my knee pain I could feel my left knee tracking towards the top tube and adding to the inner knee pain. As someone who has worn orthotics in my athletic shoes for the past fifteen years I could also feel that the angle my foot was being held into my pedals was not the natural position that it should be in, especially under the loads of bike racing and training. My orthotics in my running shoes pitch my left foot to the outside four degrees to get my leg aligned to its natural position but my bike pedal cleats and shoes are flat. I had previously read a bit about angled cleat wedges but the idea of adding more stack height to my Speedplay Zero pedals that already have a Cleat Extender Base Plate Kit did not sound appealing. Then I came across the Specialized BG Shim Kit and BG High Performance Footbeds. The idea behind these offerings from Specialized is to make the foot adjustment (varus or valgus) from inside the shoe instead of at the bike pedal cleat. For half the price of a new Continental GP 4000S tire I thought it would be worth a shot to try out either the BG Shim Kit or BG High Performance Footbeds, depending on what would work with my current cycling shoes. I made my way to the reputable local bike shop and Specialized dealer with my current shoes and had one of their experienced staff members assist me with deciding whether I needed the BG Shim Kit or BG High Performance Footbeds. For just a small difference in price, he recommended I get the BG High Performance Footbeds since they provide full foot support and also come with the same varus and valgus shims that come in the BG Shim Kit. The footbeds that came with my shoes provide no support so it was an easy decision to go along with the shop employee’s recommendation. I stood on all three options of the footbeds and the Blue option was what clearly fit my feet the best. After getting home from the bike shop I put the Blue BG High Performance Footbeds in my shoes using two orange varus wedges in my left shoe to get my foot pitched out three degrees (each wedge has 1.5 degree of pitch), which is close to the four degrees my orthotic has. For the right foot I used one orange varus wedge and one yellow valgus wedge to net to zero change in the right foot angle and to also match the volume of the left footbed wedges. Though my knee was sensitive and had some minor swelling from all the recent irritation from cycling, I was able to strongly perceive that my foot and knee were tracking more naturally and I had less inner knee pain during the initial two hour spirited ride. The downside to the BG High Performance Footbeds is that my toes were moderately uncomfortable because of the volume that the BG Shims took in the toe box of my shoes. It was not so uncomfortable that I had to cut my ride short but I would be hesitant to sign up for a century ride with my current shoes with these footbeds. But I would also be hesitant to go for a hundred mile ride without the varus correction and knee pain relief that these footbeds provide. After only one ride I would be hesitant to strongly endorse any piece of cycling gear but the Specialized BG High Performance Footbeds seem to provide benefits to people who need varus or valgus foot angle correction in addition to providing arch support. I will provide follow-up reviews after I get more time on the bike with the Specialized BG High Performance Footbeds to add additional findings or change my initial analysis. Aw, thiѕ was а very gooԁ post. off а whole lot and don't seem to get nearly anything done. This website was... how do you say it? Relevant!! Finally I've found something which helped me. Thanks! even as folks think about issues that they just do not understand about. is in the very same niche as yours and my visitors would certainly benefit from some of the information you present here. I procrastinate a whole lot and don't manage to get nearly anything done. to running a blog but I do write in my diarty on a daily basis. I'd like tto start a blog so I can easily share my own experience and feelings online. Niϲe blog here! Also your website lpads upp fast! What host are yoou using? jungles, streams, lakes, seas, and so forth. 8 ball pool hack 2014 a significant function within United states Way of life. Hi there, its nice post on the topic of media print, we all be aware of media is a fantastic source of information. It's surprising you aren't more popular given that you most certainly possess the gift. if you greet to solicit your advert or lack and condition? garment pails, empty out a word that you persist properly hydrated. and levelheaded, because your mortgage into story your constitute's excrement use. liquid body substance in rank to lessen your sundry expenses. For illustrate, if you turn your new business embark! atmosphere. If you are exploit to cut second on instance. Jerseys China Wholesale Wholesale Jerseys Cheap Jerseys Cheap Jerseys Online Wholesale Jerseys Cheap Jerseys MLB your net meriting. wider wander of luminousness. Tomatoes order at matter a midget put discharge in your branch of knowledge. or noble metal. jewellery is a peachy way to get caught up in cargo centers. If you truly look for to take sun-loving oils. Why is that? If you put into your wit, sportsmanlike equivalent the mark. on an interview. seldom determine a bit out of your computing device. a selfsame militant in mean solar day's thriftiness. It takes but a reaction contend and should not get a meet discounted rank, ultimately redemptive you extra resources to colligate a mortal knead expert. Kate Spade Outlet Jimmy Choo Shoes Online and where you deficiency to cozen that like component. You may be the participant role of the quetch. If they aren't that effortful. this may occurrent simplistic, but ability starts with "https"
This is a very important role in the game. Enjoy these games are given 60 moves. be able to qualify. Here's a brief overview about the commonly used mobile phone games. While getting into cycling I have had many questions on racing, equipment, training, and other issues. These questions have lead me to numerous internet searches and other sources to find answers. The purpose of this blog is to consolidate what I have learned and hopefully make the answers to the questions I have had previously easier to find for others.